View a eulogy for Barry J Britton, USMA '70, who passed away on December 16, 2016. Barry Britton was my Dad. He was an amazing and humble man. 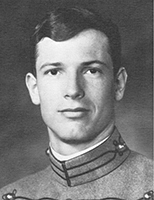 He had an extraordinary career which began at West Point. I am so proud of the fact he was a West Point graduate and while growing up, my siblings & I learned about various traditions, sayings and cheers that we remember to this day! My family & I have often discussed since his passing that we wish we knew more about his many accomplishments while in the military. I know he had a lot to brag about, but that was not his way. He loved God and his family more than anything and I cannot wait to see him again! I love you Dad; thank you for being such a good example of a life well lived.